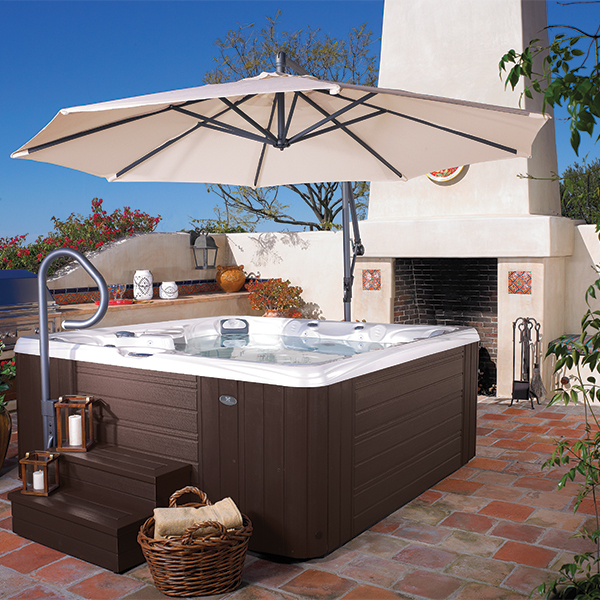 The large 9’9” diameter canopy of our umbrella pivots to cover either your spa or patio. The base slips under the spa cabinet to help provide stability. Canopy fabric is available in either Creme or Navy.